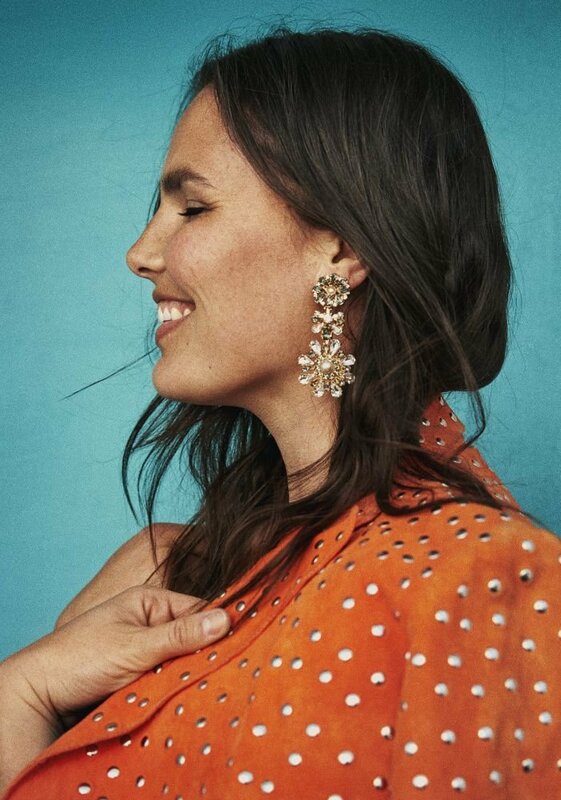 An all-American beauty born and raised in Washington D.C., Candice Huffine began her career as a model at the age of 15 and never looked back. Candice, who immediately established a loyal catalogue following, received her big break courtesy of a V magazine “Curves Ahead” editorial feature photographed by Solve Sundsbo followed by the groundbreaking June 2011 cover of Vogue Italia photographed by Steven Meisel. Since her debut, Candice has appeared in several international editions of the venerable title, including a Tim Walker portfolio in American Vogue as well as the cover of Vogue Italia’s 50th Anniversary issue. In the Carlyne Cerf de Dudzeele-styled issue, Huffine co-starred as one of fifty “Meisel muses” in a group that included supermodels Joan Smalls, Karlie Kloss, Carolyn Murphy, Christy Turlington, Naomi Campbell and Linda Evangelista among others. Meisel also captured Huffine for the 2015 Pirelli calendar, a career milestone for any model. 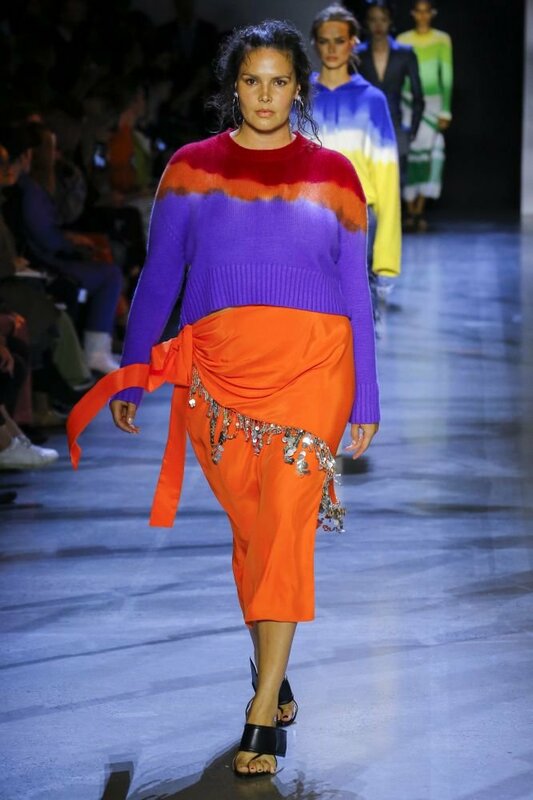 Huffine has also starred in three issues of W magazine (photographed by Meisel, Mert & Marcus, and Michael Thompson) and has graced the covers of i-D and S Moda magazines. She has also worked with notable image-makers such as Camille Akrans, Arthur Elgort, Emma Summerton, Angelo Pennetta, Damon Baker, and Ward Ivan Rafik, and appeared in 29 international editions of Harper’s Bazaar styled and photographed by Carine Roitfeld and Karl Lagerfeld. Roitfeld also selected Huffine to co-star in “Flowers for Fernando,” a fairy tale written and photographed by Tom Ford for CR Fashion Book and has been featured in three additional issues of Roitfeld's eponymous bi-annual publication photographed by Pamela Hanson, Johnny Dufort, and Sante D’ Orazio. Candice made her runway debut in Roitfeld’s star-studded amFAR Gala fashion show at the Cannes Film Festival and walked in designer Sophie Theallet’s Summer and Fall 2016 shows during New York Fashion Week. 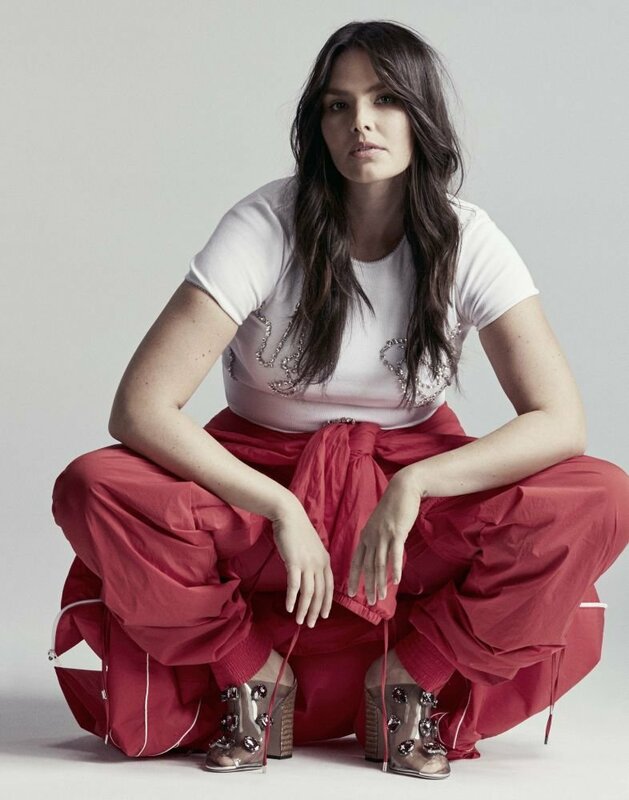 Huffine starred in Lane Bryant’s headline-making “I’m No Angel” and “Plus is Equal” campaigns, as well as an unapologetic body portrait for Self Service Magazine, all photographed by Cass Bird. She will also front the plus-size retail-giant's 2017 lingerie campaign. 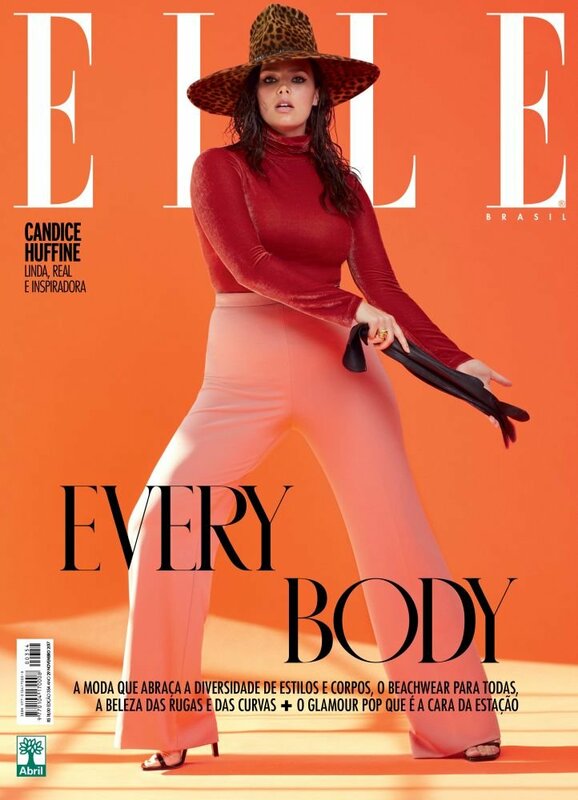 Most recently, the curvaceous brunette covered Elle Magazine, shot by Terry Tsiolis, for the publication's swimsuit issue. 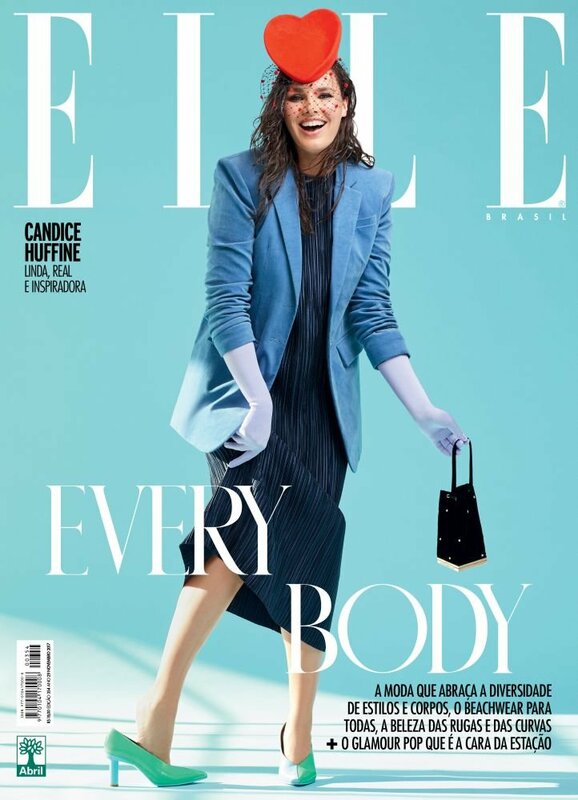 In addition to the aforementioned, select campaigns include Sophie Theallet, Rachel Roy, River Island, Maidenform, Marina Rinaldi, Marks & Spencers, Macy’s, Bloomingdales, Nordstrom, Torrid, Addition Elle, Simply Be UK and Violeta for Mango. Huffine, a passionate fashion enthusiast and multitalented creative professional, recently joined with Elena Miro on her first capsule collection, #LOVEDBYCANDICE, and will see her name in more collaborations in the coming months. Candice also co-starred in DNCE’s popular music video “Cake by the Ocean” directed by Gigi Hadid. Off-duty, Candice is involved with The National MS Society and recently completed her first New York City Half Marathon. She will also participate in the 2017 New York City Marathon. As a champion of size diversity, Candice often corresponds with young girls looking for advice on finding self-confidence.